WASHfunders»Blog»SUSTAINABLE WASH FINANCE SERIES: Private Sector, Will You Dance? SUSTAINABLE WASH FINANCE SERIES: Private Sector, Will You Dance? 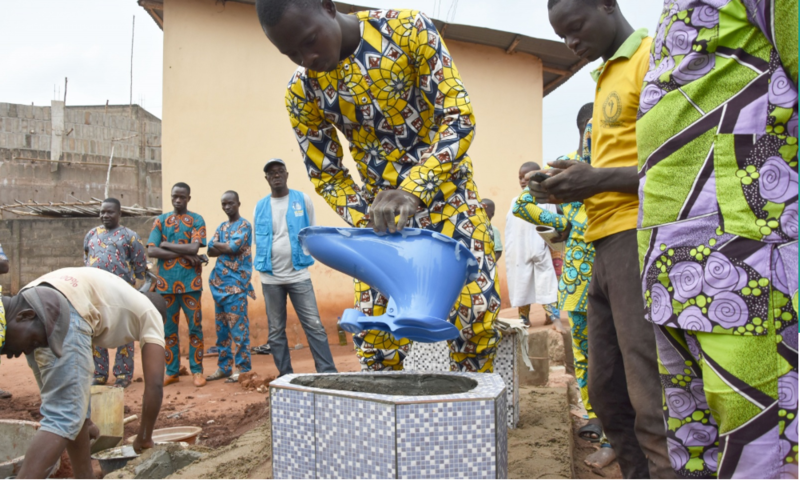 This story is part of our article series on sustainable WASH finance and was originally published on the Toiletboard blog. To view the original story, click here. With 2020 on the doorstep, the global sanitation “toilet” community is becoming all too aware that without significant, annual changes in progress, there will be no way to meet the sustainable development goal 6.2, adequate sanitation for all, by 2030. Sanitation was given a D grade on Overseas Development Institute’s SDG Scorecard. One potential solution to close this gap lies in better engagement with the private sector by the sanitation sector. At the moment, we find the private sector, both small, medium enterprises and larger corporations, literally standing on one side of the room waiting to be asked to dance. Meanwhile the sanitation sector continues to miss opportunities to step up and demonstrate the nerve to ask. A significant opportunity to create impact/disruption came back in 2015 when the World Bank published the Tapping the Markets report. This study highlighted the sanitation market’s potential just to reach basic sanitation in four countries valued at $2.6 billion. Unsurprisingly, the research indicated that private sector would not enter the market due to high risk and the lack of R&D around affordable and desirable products and services that would enable private sector to earn enough profit. Tapping the Markets gave solid recommendations that—with a few notable exceptions—the sanitation sector, represented by governments, multilaterals, donors, development banks, NGOs, and the private sector themselves have not adequately followed to achieve greater results. A more recent call to action is a series of reports the Toilet Board Coalition has released showcasing the Sanitation Economy and the market potential in three areas of that economy: the toilet economy, the circular sanitation economy, and the smart sanitation economy. In the toilet economy alone, there are business opportunities in septic tanks, community toilets, toilet pan and fixtures, toilet shelters, cleaning, maintenance, and more. The potential is certainly there to create real-time value but we are still ways away from progress. It’s now time for the sanitation sector to figure out how to quickly take Tapping the Markets recommendations and program learning to scale. To do this, sanitation needs to borrow approaches from other sectors like agriculture, health, and energy that have successfully engaged the private sector. Sanitation should also cost and compare market development activities to other sanitation approaches to better understand why market activation and facilitation are more attractive and/or how it complements other types of programming. This evidence will be critical to unlocking new sources of capital to activate and shape sanitation markets and show the private sector investable and profitable opportunities. The way forward must also consider sustainability and how to ensure markets are created that are built to last and evolve; capable of supporting all three aspects of the sanitation economy. Fortunately, it seems both the sanitation sector and the private sector are at long last lacing up their dance shoes. Several larger traditional sanitation players have started work on building sanitation markets and important research on this topic is underway. The Toilet Board Coalition has also made a tremendous effort to engage the private sector. With growing focus and evidence, it’s just a matter of time before more good moves are made between sanitation and the private sector. John Sauer is senior technical advisor for PSI’s water, sanitation, and hygiene programs. John provides support to PSI’s efforts developing and executing market development programs.